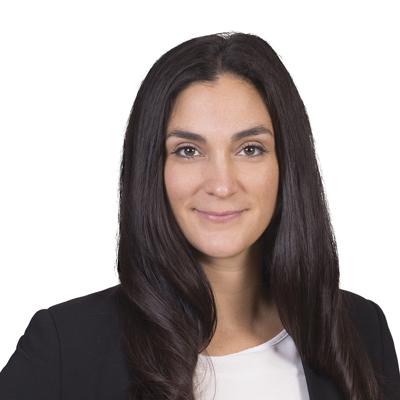 Tina Aswad is an associate in Gowling WLG’s Montréal office practising in the Labour, Employment and Equalities Group. Her practice covers all aspects of collective and individual labour relations, including representing clients in a variety of litigation matters, providing advisory services, and drafting documents in connection with the employment relationship (employment agreements, policies, services agreements, confidentiality, non-competition and non-solicitation undertakings). Tina specializes in litigations in connection with termination of employment and the application of non-competition and non-solicitation clauses. She has appeared before all levels of civil and administrative courts in Québec. She also often acts as an investigator in matters of psychological harassment. Tina hosts seminars on diverse issues and questions related to employment law. She has written many legal articles, including on social media use and stock option plans. She holds a master’s degree on the subject of non-tariff barriers in interprovincial trade, as well as on Canada’s Agreement on Internal Trade.